Please note: item comes bagged, not in Playmobil blue boxes. We're so happy for the lucky couple! This Playmobil Bridal Couple includes a bride and a groom, plus flowers. 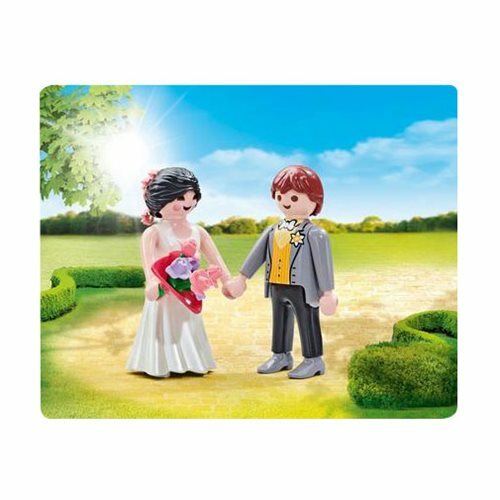 Use them as cake toppers, take them shopping, or use them in your Playmobil bridal collection (sold separately). Each jointed action figure stands about 3-inches tall. Ages 4 and up.